What is a post without a photo? 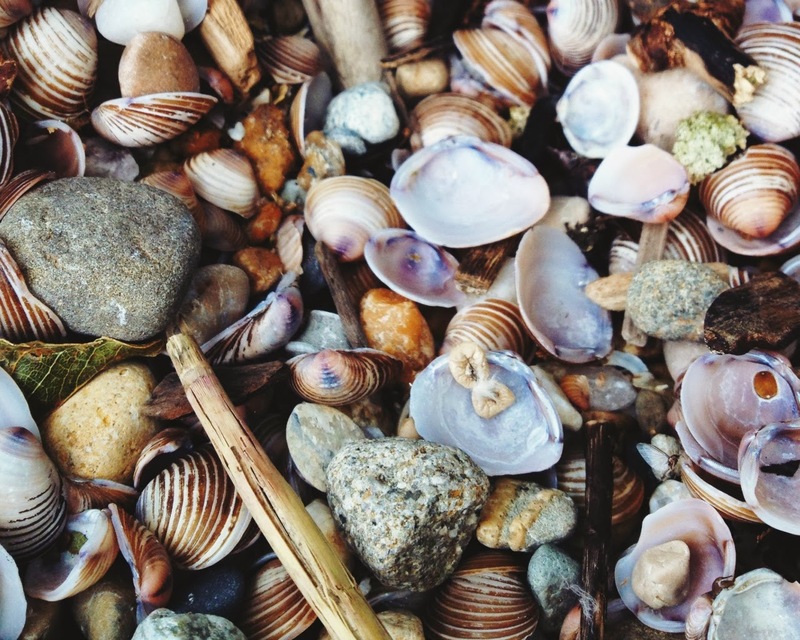 - Not for me, so I just added a photo I took a while ago of shells although it doesn't relate too much to the topic, I look at it as many little and big dreams that can come true in 2014. It's pretty insane how fast time flies. As today is the last day of 2013 I thought why not take this opportunity and look back at this year. First I am so thankful for all the people that stepped into my life and for those who have stayed. Back in April I started this thing. This little space on the internet that belongs to me. Where I share my thoughts and beauty loves with you. At the time I was over with all my exams and just had nothing to do. Through this blog I've gained so much - friends, a leisure and deepened my love for photography. I am so thankful for every single person who I got to know through blogging. After lovely summer holidays in Portugal, I started school again and suddenly I had so much work to do and had to let my blog a bit behind. I was quite disappointed because I let my favourite activity behind but I had to take school as a priority. I have big plans for 2014 not only for me but also this space - my blog. I'm writing this on New Years Eve so everything is a bit rushed. But anyway - I hope you all have an amazing NYE and I only wish you the best in 2014, may all your dreams and wishes come true. I hope this new year be better than last year. I really miss your e-mails :) I hope this new year bring you a lot of love, hapiness, friendships, health, and a lot of other good things. I hope this year you dreams cam true.